Fusion Entertainment has been producing great audio and entertainment products since 1998, and they’ve grown steadily to become a world-leader in product design and innovative thinking. A great fit for a like-minded business like Lotus Caravans. 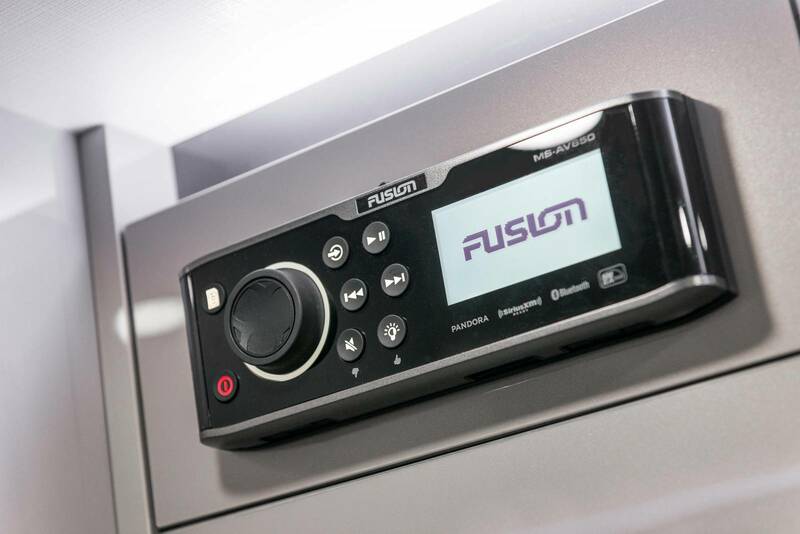 Fusion Entertainment is globally-recognised for their innovative audio solutions, which are used by some of the biggest marine and outdoor lifestyle brands. The FUSION MS-AV650 entertainment system with internal DVD/CD drive is exactly what you need for those long road trips. It’s got your Apple iOS and your Android/Windows media playback to please your inner techie. The sound quality is amazing too and of course it’s tested to perform just about anywhere. Their passion for the outdoor lifestyle lines up well with Lotus Caravans’ own vision. They approach every market from the perspective of their customers and leverage their growth and experience to deliver world-class products. When you’re living it up in your Lotus Caravan, you can be sure you’re listening to the best audio equipment available.